Effective immediately, you can now stream any of my holiday mixes on Mixcloud, an online music service that offers a terrific variety of mixes, compilations and other creative audio programming. I've uploaded all 17 of my holiday mixes to the Mixcloud site, and because each one has an embedded track list, you can follow along with each individual track that's played. The site doesn't allow downloading for copyright reasons, but you can listen to whichever mix you fancy anytime. One of the side benefits of the posting process is that it forced me to take a fresh look at each of the 450+ tracks I've included in previous mixes. Not surprisingly, I found a number of errors in the descriptions attached to various tracks. I've now corrected whatever mistakes I spotted, so I'm hoping my track lists are more accurate than they had been. Thanks for your patience and kind attention. 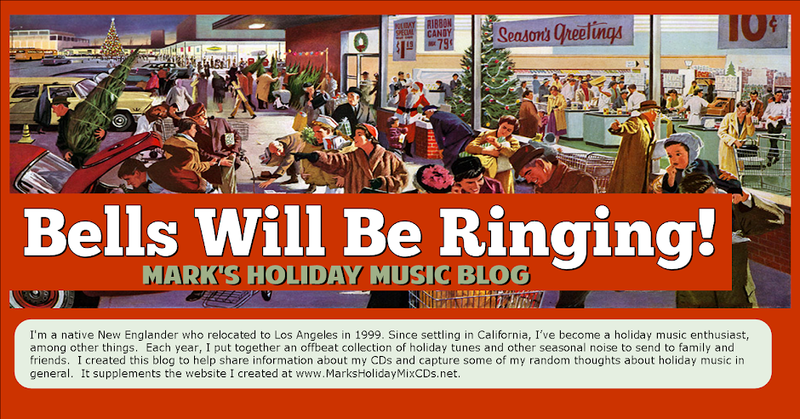 Visit Mark's Mixcloud page and listen to any or all of the 17 available holiday mixes. For those who'd rather not subject themselves to Red's gut-wrenching rendition of the whole gruesome story, here's the CliffsNotes edition. The story is about a widower and his two young children on Christmas Eve. The children's mother had died the previous Christmas, but despite the sad anniversary, they are excited by the prospect of Santa's arrival. "Cut out the nonsense," their father says. "There's no Santa Claus." Well, the children went off to bed with tears in their eyes, but they remembered their poor father in their prayers. This prompted a change of heart in Dad, and he rushes to the store to buy gifts on Santa's behalf. In his haste, however, he is killed by a passing car. The next morning, the newly orphaned tots are overjoyed to find the simple toys they'd asked for from Santa. Since Dad is in the morgue, Red suggests, they must have come from Santa himself. Yikes! Some of the other little ditties I've used from Red's holiday catalog include "Faith in Santa" (young homeless boy dies in the arms of a street corner Santa Claus), "What Does Christmas Look Like?" (young girl blind from birth wonders what she's missing), and "Here It Is Christmas" (divorced man sobs as he writes his ex-wife on Christmas Eve). These songs all appear on his 1978 LP Christmas with Red Sovine, which was one of the last albums he ever recorded. Sovine's Christmas album reflects the direction his music had taken during the latter part of his career. After years of recording marginally popular country and western music, Sovine had finally found his niche in the mid-'70s with a series of maudlin spoken stories about truckers recorded over a depressing musical background. For example his biggest hit, "Teddy Bear," was about a disabled boy who'd lost his trucker father in an accident and spends his days listening to other truckers on the CB radio. (I just listened to it again, and, as always, it brought tears to my eyes.) Sovine himself died in a motor vehicle accident in 1980. Since then, his music has been widely parodied, for all the obvious reasons. I've got one further Red Sovine story to share this evening — a back story about his hit song "Teddy Bear." This one wasn't merely a hit — it climbed to the top spot on the country music charts almost overnight, and, not surprisingly, Sovine's record company wanted him to milk the story by recording a couple of follow-up records. For whatever reason, Sovine was reluctant to do it, which led a couple of his songwriting pals to write a song called "Teddy Bear's Last Ride," in which young Teddy Bear is killed off. Once he's dead, his pals explained, nobody can pressure you to record any follow-ups. Sovine refused to have anything to do with the song, but it was recorded by a woman named Diana Williams, and to Red's dismay it started to climb the charts. Well, Sovine quickly recorded a song of his own called "Little Joe," in which the real Teddy Bear is not only still alive, but had regained the ability to walk. Sovine's follow-up effectively knocked Diana Williams out of the game, and ended the Teddy Bear saga on a somewhat happier note. Of course, this is a Red Sovine record, so before it ends the narrator loses his sight in a highway accident. If only Red were still around, maybe he could hook that former trucker up with the blind girl from "What Does Christmas Look Like?" Just a thought. POSTSCRIPT (12.30.14): Looks like the "Teddy Bear" saga continued even after the release of "Little Joe." 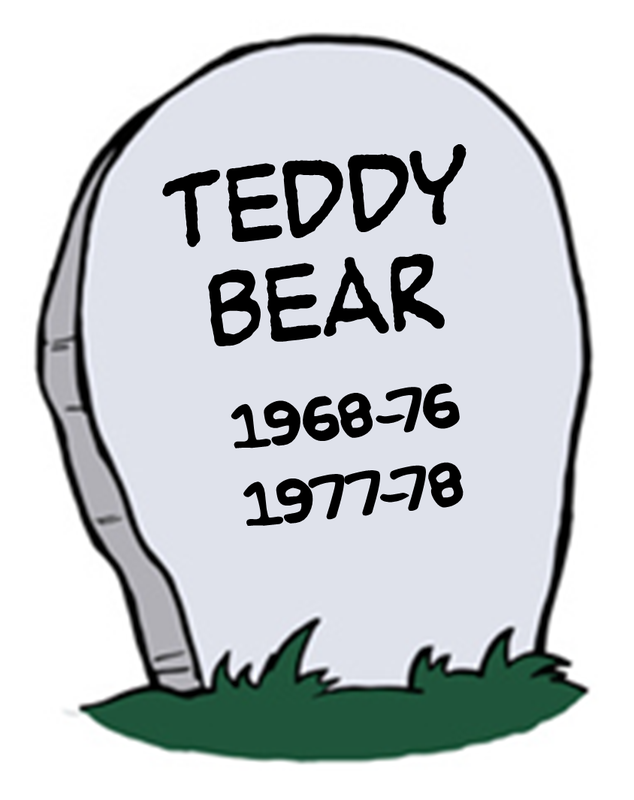 Some time later, a guy named John Texas Rocker released a song called "Teddy Bear's Epitaph," in which we learn that the poor little former cripple must have suffered another setback because he's now in heaven using God's CB to keep in touch with his gear-jammer buddies on Earth. There's a scratchy old version of this final monstrosity on WFMU's Beware of the Blog site HERE. As that post notes, this news may help explain what was going on in another of Red Sovine's hits, "Phantom 309." Or not. 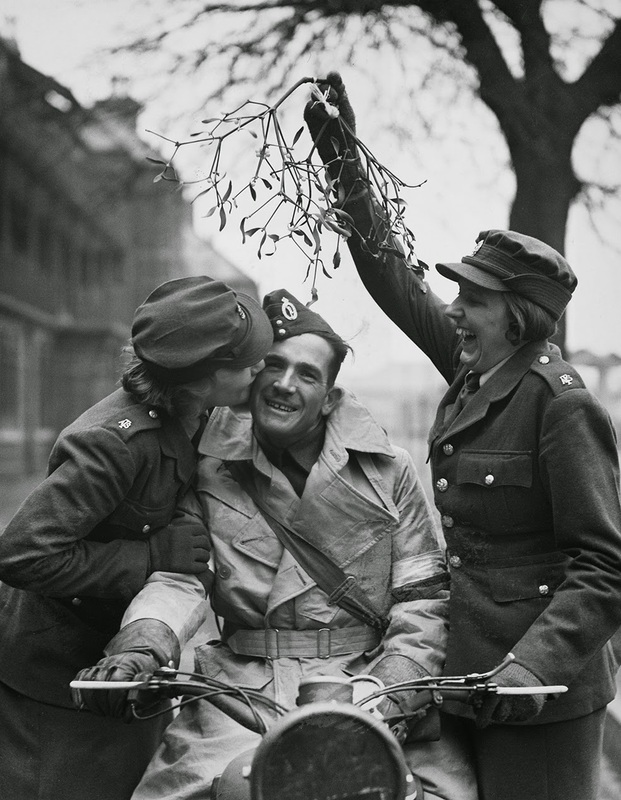 While poking around on the internet this evening, I stumbled on a series of vintage photos of military personnel celebrating Christmas on the front lines during a number of 20th century conflicts. The photographs are stunning, primarily because of the hope and kindness in the faces and eyes of the people depicted. It's surely a testament to the power of the holiday that it can bring some small measure of peace and goodwill to good people even under such appallingly difficult circumstances. Thanks to THE WEEK. See more HERE. In addition to my annual holiday mixes, I've put together several special bonus mixes over the years that are built around a particular theme or style. Two of these special mixes focus on New Year's Eve — Happy New Year (2008) and Ringin' In a Brand New Year (2012) — and this morning, I added a third, We Know What You Did Last New Year's Eve. Like its predecessors, my latest New Year's mix celebrates the fun and frolic of New Year's Eve with a number of upbeat party tracks. But the overall tone of this latest mix is a bit more contemplative and thoughtful. 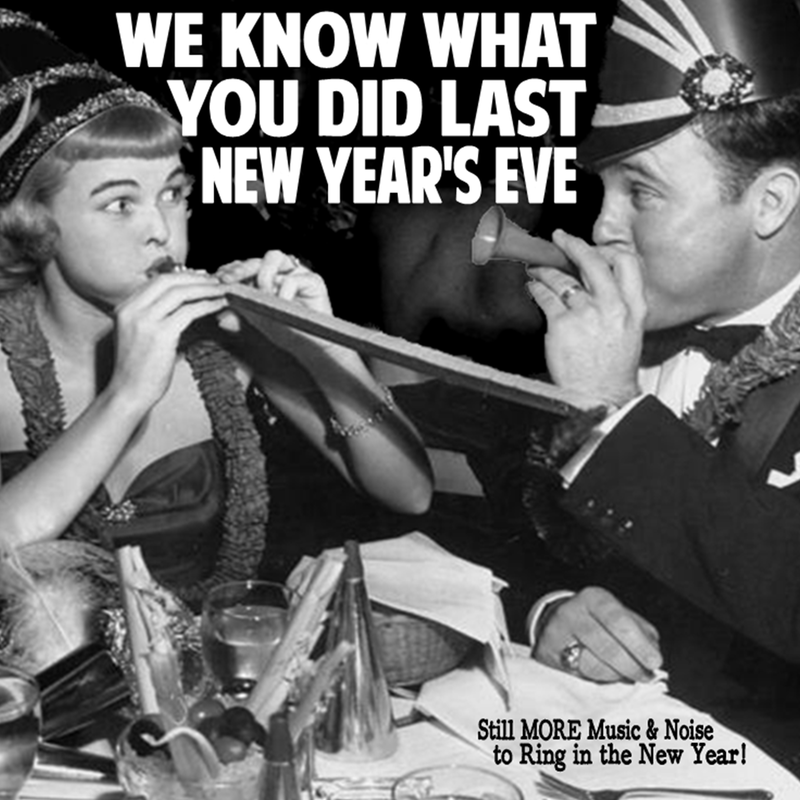 We Know What You Did Last New Year's Eve features music from Bing Crosby, Judy Garland and Peggy Lee, as well as songs by Graham Parker, First Aid Kit, The Go Find and David Gray. I'll be posting this mix shortly on my holiday website, along with a track list, printable jewel case inserts and disc labels. In the meantime, you can hear it right now (along with all of my other mixes) by way of the links below or by visiting my new Mixcloud profile page. I hope you enjoy these various New Year's mixes and that the new year brings all good things. Thanks for checking out our SNL Saturday Holiday Flashbacks! Missed the broadcast? This one's readily available from various retail outlets and many public libraries, and since it's from PBS, it's a safe bet we'll be seeing it on the air again sometime soon. Thanks to Stubby's House of Christmas for reporting on this one. Read the TIME Magazine piece "Bing Christmas: 'Tis the Season to Be Crosby"
Read the People Magazine piece: "Why Bing Crosby's 'White Christmas' Is the Best Holiday Song Ever"
Ah, yes, it's the day after Christmas, which has to rank up there among the most emotionally confusing days of the year. On the one hand, there's the afterglow that follows what was hopefully a wonderful holiday; but, on the other, there's the need to clean-up all the mess and deal with the costs of the whole enterprise, not to mention the sad reality that the "days until Christmas" clock has been reset and we've got 365 days until next Christmas. 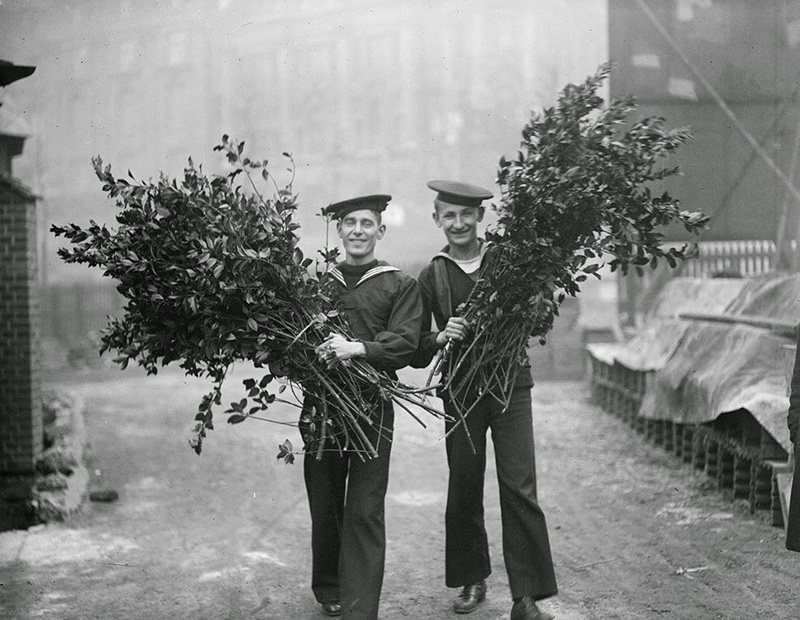 The British have long celebrated the 26th of December as Boxing Day, which provides many folks with an extra day off from work. It's a custom I heartily applaud. The name comes from the traditional practice whereby families of means would box-up those things they no longer needed and give them to the less fortunate to make room for new gifts they'd received. I have no idea whether this practice is currently observed, but I hope it is. At the very least, everyone gets an extra day off of work, which makes good sense, especially when, as is the case this year, there would otherwise be a single working day between Christmas and the weekend. In 2012, I seized on Boxing Day as an excuse to share a perfectly dreadful film from Mexico called Santa Claus. Effective today, I'd like to launch a new Boxing Day Tradition, such that every December 26 from now on we'll post another monstrously bad holiday-related movie to take our collective minds off how much we overspent, overate and/or overindulged this season. This year's feature isn't just a Christmas film, but a two-holiday blast of ill wind called Santa and the Ice Cream Bunny. If you watched any of the Santa Claus movie I posted two years ago, this one, believe it or not, is worse! 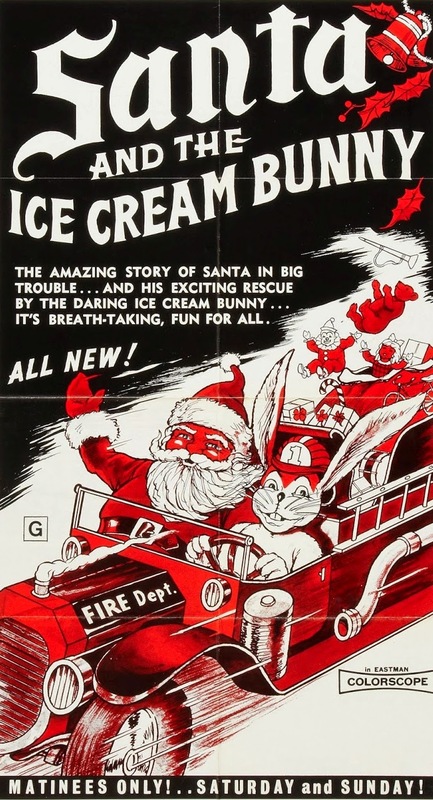 This is actually a movie within a movie, as the Santa and the Ice Cream Bunny storylines are featured on either side of a lengthy separate story that seems to have little to do with the footage that precedes and follows it. The story in the middle has something to do with Thumbelina. 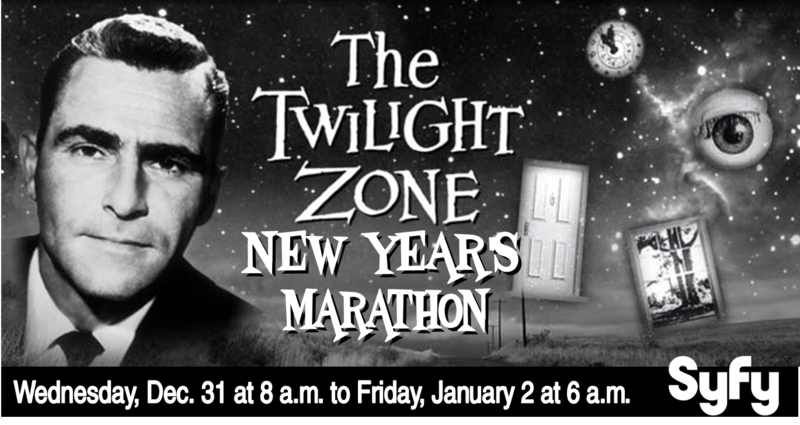 It starts at 20:46 and ends at 1:23:03, and, as several others have pointed out, has production values that are slightly higher than the holiday-related nightmare on either side. Schlafe in himmlischer Ruh . . . The beautiful notes of "Silent Night" kicked-off the Christmas Truce of 1914, which has to rank among the most unusual and uplifting events in the history of modern warfare. 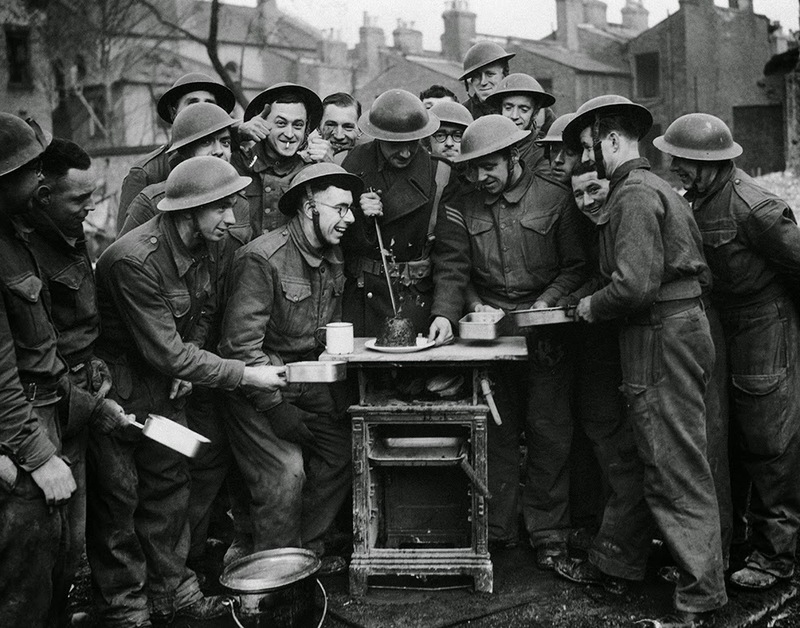 As troops on both sides of the line continued to sing Christmas carols, some personnel lit candles and posted makeshift decorations on the edges of their icy foxholes. Others stuck their heads above ground and shouted Christmas greetings. Within a matter of minutes, German, French, English and Belgian soldiers were actually climbing above ground and extending their hands to the enemy. In time, as many as 100,000 soldiers up and down the battle front lay down their arms to share greetings, provisions, cigarettes and laughter with those they'd been trying to kill just hours before. Some soldiers used the time to retrieve their fallen comrades whose bodies lay on the enemy side. 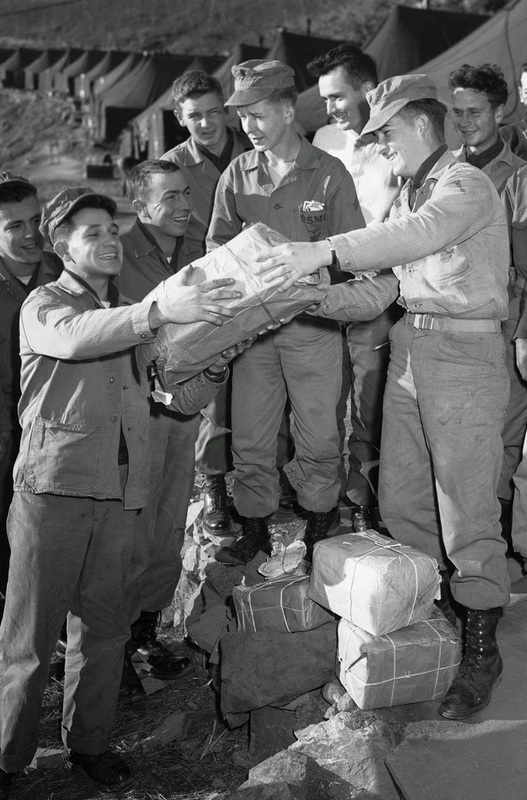 Others engaged in projects above ground, or gave letters and packages to the other side so they could be delivered to loved ones. There are even reports of friendly football games between German and Allied personnel. Sadly, of course, the truce did not last long. Leaders on both sides sent word that fraternizing with the enemy would not be tolerated. 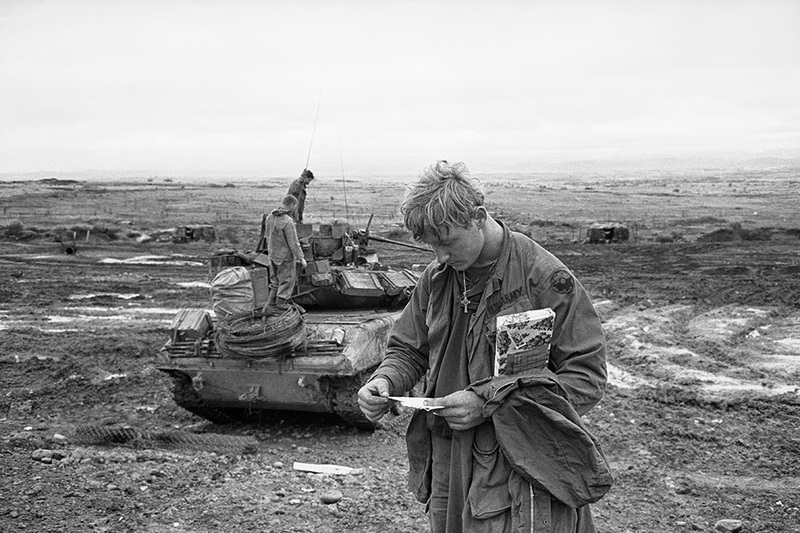 Fighting resumed in some areas on the day after Christmas. By New Year's Day, there were few observable signs that the truce had ever taken place at all. But one can't help but wonder how difficult it must have been for the men who were actually doing the killing to shoot at those they'd been singing with such a short time before. One hundred years later, the Christmas Truce remains a powerful testament to man's innate humanity, and our thirst for peace. Watch Nuala Kennedy's Music Video, "Christmas in the Trenches"
Watch the BBC Documentary "Peace in No Man's Land"
Watch the History Channel Documentary "The Christmas Truce"
One of my favorite Christmas songs as a kid was "Snoopy's Christmas," released by The Royal Guardsmen in 1967 as a follow-up to their earlier song "Snoopy vs. The Red Baron." I remember it wasn't played too often on the radio even in the 1970s, so it was always a treat to hear it. I happened to see the following video version on YouTube yesterday that someone made for her mother because it was her mother's favorite holiday song. It's a very professional job, and it speaks to the meaning of Christmas. I started this blog in 2011 for the primary purpose of providing some further background information about the various tracks I include on my annual holiday mixes. My latest mix is called Is There Really a Santa Claus, and over the past several weeks I've been posting comments on its 39 tracks. We've now run through Tracks 1-35, which leaves only four more to consider. We'll do two of those today, both of which are among the nine tracks I selected in honor of nine talented individuals who passed away in 2014. I've known of Maya Angelou as a respected poet, author and civil rights activist for 25 years or more, and throughout that period I've considered her to be a talented and accomplished woman who's lived an extraordinary life. But I have to admit that until today, when I read about her life for the purpose of writing this post, I had no idea just how incredible her life truly was. 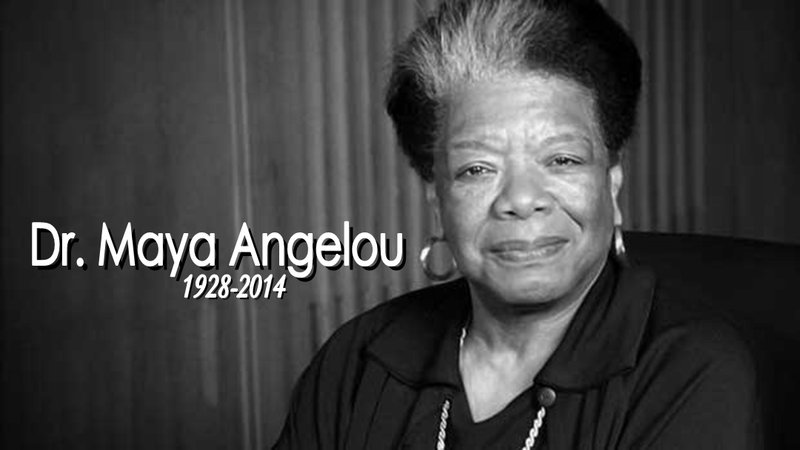 Born to a poor Missouri family in 1928, Angelou had a difficult and traumatic childhood. At the age of eight, she was brutally raped by her mother's boyfriend, and after she reported what had happened, the boyfriend was apparently killed by members of her family. The trauma of these events had a powerful effect on Angelou, who retreated inward and literally became mute for several years. It was during this period that she developed her love for poetry and literature, which were her principal companions. At age 17, Angelou settled in the San Francisco area, took a job as a streetcar conductor and bore a child out of wedlock. 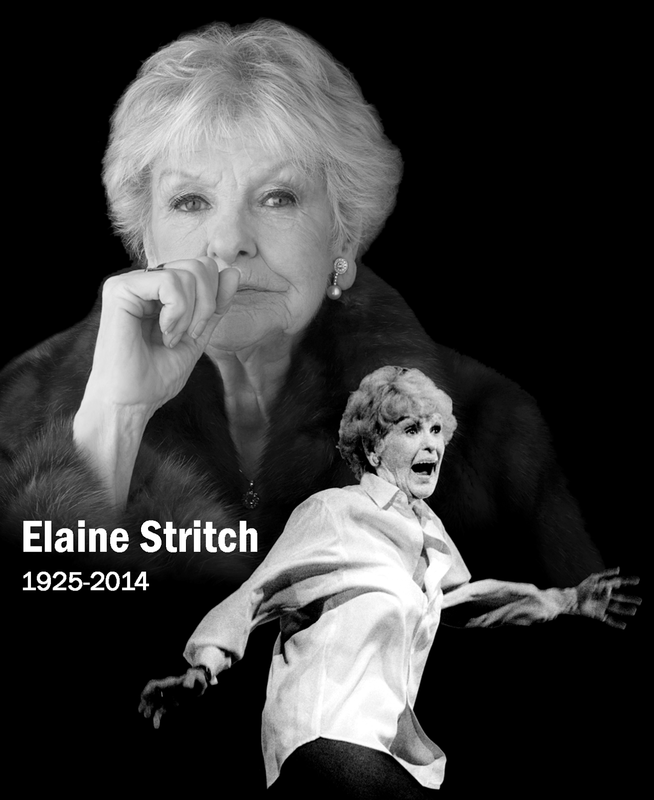 She subsequently studied modern dance, and, beginning in 1954, began to dance professionally. In 1954 and 1955, she toured Europe with a company of Porgy And Bess, after which she recorded an album of calypso music and appeared in an off-Broadway musical review. In the late 1950s, Angelou began to focus more on her writing, joining the Harlem Writers Guild and networking with other writers. After organizing a successful fundraising event for the Southern Christian Leadership Conference (SCLC) in 1960, she was appointed SCLC's northern coordinator. In 1961, she traveled to Ghana, where she worked on an English-language newspaper and as academic administrator. She became a good friend of both Malcolm X and the Rev. Martin Luther King, Jr., and helped to build the Organization of Afro-American Unity. Following King's murder, she wrote, produced an narrated a ten-part series on blues music and the African-American experience. In 1969, Angelou published I Know Why the Caged Bird Sings, the first in a series of widely acclaimed autobiographical books she wrote. Throughout the 1970s and '80s, she continued to write, teach and lecture, receiving over 30 honorary degrees as a result of her increasing body of work. In 1993, Angelou received wide notice for her poem "On the Pulse of Morning," which she read at the Inauguration of President Bill Clinton. 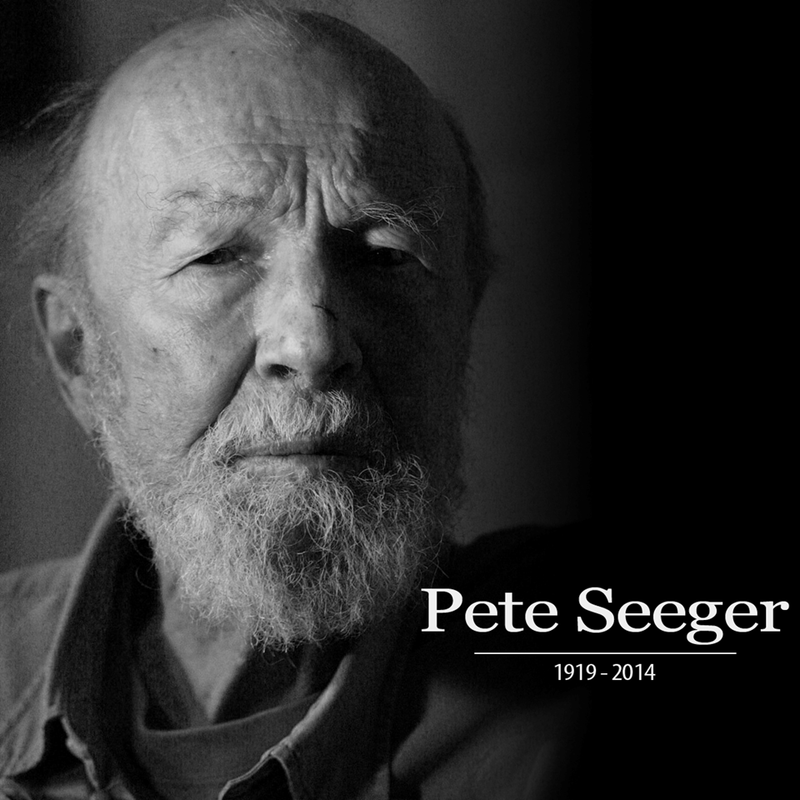 Pete Seeger was a folk singer, songwriter and political activist whose progressive views and commitment to justice left a permanent impression on American society, largely by way of the succeeding generations of schoolchildren who learned and sang his songs as they came of age during the second half of the 20h century. We sang "If I Had a Hammer" and "Where Have All the Flowers Gone?" around the campfire at night at every summer camp I ever attended. In the fifth grade, I can remember my teacher, Miss Richards, gathering the class around a phonograph to listen to The Byrds sing another Seeger song, "Turn! Turn! Turn!" and using the lyrics as jumping off point for a discussion about the War in Vietnam. Seeger believed in the interconnectedness of things, and he rarely missed an opportunity to get people thinking and promote his world view even as he entertained them. He was raised in a family of musicians and activists, and his father, who taught music at the college level, was especially interested in American folk music. Seeger traveled with his father and brothers through many parts of the South and the Plains states to perform and collect traditional folk songs. For a time, he worked with his father's friend Alan Lomax in the Library of Congress cataloging the large collection of field recordings that sought to capture the largely unwritten music of the American countryside. In 1941, Seeger began to perform with the Almanac Singers, a group of politically active folk singers that included Woody Guthrie and Cisco Houston. The Almanacs raised a few eyebrows with their position against American involvement in World War II, although they changed their position after Hitler broke his non-aggression pact with Stalin and Germany invaded the Soviet Union. Seeger joined the Communist Party around this same time, although he did not remain a member for long and he openly rejected communism as it was practiced in the Soviet Union. After serving in World War II, Seeger and several of the other Almanac Singers formed a new group called The Weavers, who scored several big hits in the early 1950s including "Goodnight, Irene" and "Tzena, Tzena, Tzena." Although the Weavers tried to moderate their political activity in the face of growing public fear of the left, Seeger's history with the Communist Party resulted in his being called before the House Un-American Activities Committee, where he refused to answer questions based on the First Amendment. Held in contempt of Congress, Seeger was blacklisted and denied most opportunities to work, just as his music was really beginning to catch on. In the mid-1960s, when folk music became all the rage and the paranoia of the McCarthy era had finally faded, interest in Seeger's music began to increase. There were more opportunities to work, and coverage of his career became more positive again. In fact, for the balance of his life, Seeger remained very active both politically and musically — right up until his death this past January, at the age of 94. “He was a very gentle man and intensely optimistic,” British singer and activist Billy Bragg recently told the BBC. "He believed in humanity and the power of music to make a difference, not to change to the world." Covering up my dirty old town. Covers the footsteps of those who'll not be back. Looks like she's not got a friend in this world. Even barbed wire seems - beautiful now. I'll be back tomorrow or the next day with the two remaining songs from this year's mix — a return appearance for a song that's already appeared somewhere among the first 37 tracks, albeit by another artist, and an excerpt from a Christmas classic sung on TV by a legendary woman of the stage. Labels: CD Notes, Is There Really a Santa Claus?, Maya Angelou, Pete Seeger, R.I.P. The older I get and the more I see, the more I understand just how much this world lost on November 22, 1963. 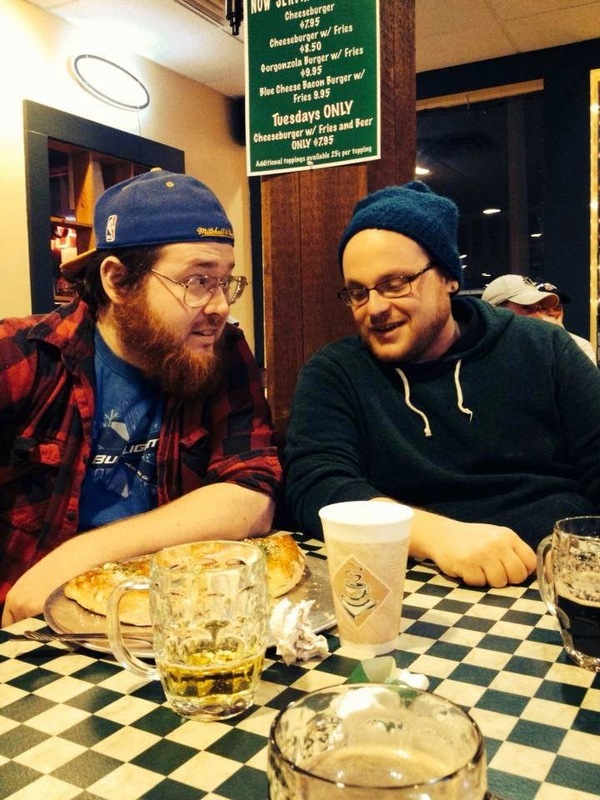 Vermont duo Beard & Glasses, otherwise known as Matt Scott and Sam Clement, seem to have been very busy lately. On the heels of their excellent 2013 holiday EP Tinsel Babies, Beard & Glasses has just released their unique take on that venerable classic "Grandma Got Run Over by a Reindeer" as a Christmas single. What's more, they've got another album due out any day now, too. I guess with the cold and snow that seem to have pummeled New England this Fall, there isn't a whole lot to do in the Green Mountain State nowadays aside from staying indoors and being productive. If the new single is any indication, I'd say the forthcoming album should be a lot of fun. I've never really been too high on "Grandma Got Run Over by a Reindeer" myself. Frankly, it's always struck me as the kind of track you need to be high in order to enjoy. But the Beard & Glasses version — what Scott calls "a Country Mariachi Vaudevillian interpretation" — is another thing indeed. It's fun and fresh and well worth a listen. These guys are proof positive that Vermont has more to offer than fabulous ice cream, beautiful foliage and sensible politics. Enjoy! Don't give up yet, friends, because we're now in the home stretch for sure. Counting the two tracks discussed in today's post, we've completed our look at 35 of the 39 tracks on my latest holiday mix, which leaves only four left to review. So let's get on with it! 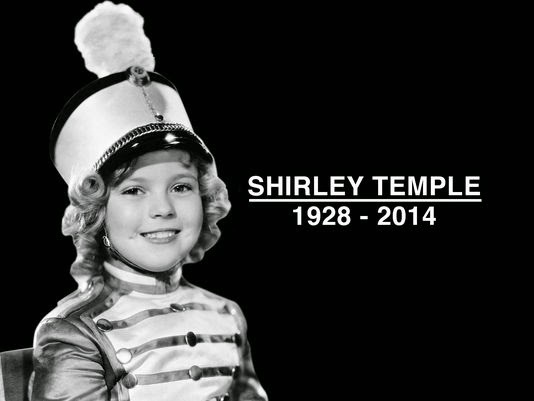 I was slightly taken aback this past February when I learned that Shirley Temple Black had just died. Frankly, I was surprised she was still among us, as she’d been a well-known celebrity for far longer than nearly any of us can remember. She was fortunate to have lived a long life (85 years), but more importantly, she seems to have lived it to the fullest, from worldwide stardom as a young film actress to her distinguished diplomatic service more recently, including appointments as our nation’s ambassador to Ghana and, during its inspiring Velvet Revolution, Czechoslovakia. Born in Santa Monica, California in 1928, Temple played her first film role when she was only three. Her mother apparently had dreams of making her daughter a star, and she worked to encourage Shirley's acting, singing and dancing talents. Temple's first roles came in a series of horrific exploitation films in which young children portrayed adults for humorous effect, but in 1933, Fox signed her to appear in Stand Up and Cheer, which was a big hit — and she was off. The nation was still deep in the grips of the Great Depression when Temple first became a star, and she quickly captured the hearts of millions of frightened and weary moviegoers who looked to her for a little relief from the grim news of the day. In the eight years from 1934-42, Temple made 27 films, most of which were box office smash hits and many of which are widely considered to be classics today. By the 1940s, however, Temple's star had begun to lose at least some of its lustre, and she reduced her work schedule substantially to focus on making a family for herself. Her first marriage to John Agar produced a child but lasted only five years. Her second, to Charles Alden Black, a wealthy and distinguished war hero and business executive, lasted until his death in 2006. In the late 1960s, Temple, known then as Shirley Temple Black, became increasingly active in politics. She ran for Congress as a Republican but was defeated in the primary by Pete McCloskey, a law professor and staunch opponent of American involvement in Vietnam. Gerald Ford appointed Black as the U.S. ambassador to Ghana in 1974, and under George H.W. Bush, she served as our nation's ambassador to Czechoslovakia. In that position, she played a key role in supporting the overthrow of Soviet control and provided support and assistance with the creation of the new Czech Republic. I've been watching Saturday Night Live (SNL) for as far back as I can remember, so I've probably seen hundreds if not thousands of the show's iconic sketches over the years — good, bad and ugly. If I had to name my single favorite recurring SNL sketch ever, it would have to be the irrepressible if somewhat tacky big-haired lounge act known as the Sweeney Sisters, starring Nora Dunn and the late Jan Hooks as singers Liz and Candy Sweeney. 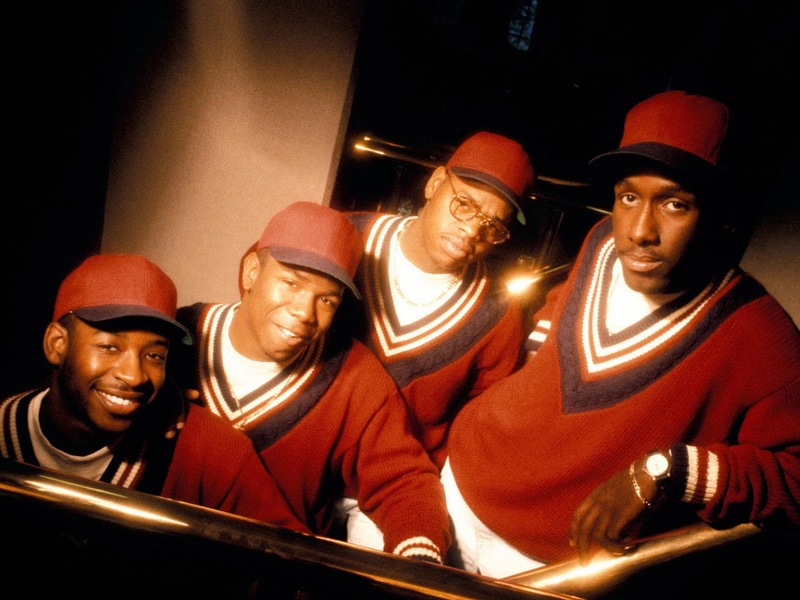 The Sweeneys made their first appearance on SNL in October 1986, and they returned seven more times to charm us with their bubbly personalities, vapid smiles and charming medleys. I don't know what it was about those two, but I could watch them a hundred times and not grow tired of them. [i]t was Jan Hooks who came up with the idea for the Sweeney Sisters. On the spot while we were shooting a commercial parody for Saturday Night Live. It came like a minor explosion, as most of her ideas did, and she delivered the concept and our names in a matter of seconds. Then she started belting out medleys of classic swing songs. There was no way I could keep up with her. She was a seasoned improvisor who never credited herself as a writer and at the heart of her matter she was a genuine actress. A Georgia native, Hooks broke into show business as a member of the Los Angeles comedy troupe called The Groundlings. She first auditioned for SNL in 1985, but was passed over for the show. When the show tanked during its 1985-86 season, however, NBC brought back former producer Lorne Michaels who set about to rebuild the cast practically from scratch. Hooks was among the group of new additions Michaels recruited to help rebuild the show, including Dunn, Dana Carvey, Phil Hartman, Jon Lovitz and Dennis Miller. Many consider that group to be the strongest cast in the show's history, and Hooks certainly added some incredible firepower to the team. In addition to Candy Sweeney, Hooks also played such characters as Nancy Reagan, Sinéad O'Connor, Tammy Faye Bakker, Kitty Dukakis, and Diane Sawyer, among others. Hooks left SNL in 1991 to join the cast of Designing Women, and she appeared on NBC's Third Rock from the Sun and in a number of films. Hooks was a wonderful comedic actress, and she always made me laugh. She'll be missed. Only four tracks left to go, so we'll be back soon with more. Hope your preparations for the big day are proceeding apace! Have You Heard the One About Cher and William Conrad Singing Christmas Carols? How did Thomas feel about ending his traditional pre-Christmas appearances? "I am so friggin' glad this is over," he deadpanned. Not me. *Brave adult readers who are interested in a different perspective on William Conrad than what we saw on Cannon can listen to his X-rated rendition of "The Twelve Days of Christmas" HERE. Be sure to check back next Saturday for one final holiday-themed clip from the vaults of Saturday Night Live, and watch SNL each Saturday at 11:30 pm on NBC. This was a sad week of so-longs and goodbyes for fans of late-night television, as the effects of David Letterman's scheduled May 20, 2015 retirement began to play out. Last night, of course, was the final pre-Christmas Late Show with David Letterman, which featured the last in a long series of annual holiday appearances by Darlene Love and Jay Thomas. Last night was also the end of the road for the Late Late Show with Craig Ferguson, which had followed Letterman on CBS each weeknight since 2005. I only saw the show a handful of times, but I enjoyed it and I like and respect Ferguson a lot. He made an impressive decision several years ago to stop making jokes at the expense of celebrities facing genuine problems with substance abuse and mental illness, which strikes me as a very decent and principled stand. Ferguson himself has been sober for more than 20 years, and his candor about his own struggle with alcoholism has undoubtedly helped others who suffer from the disease. The opening of his final show was both sad and uplifting at the same time, though mostly the latter. Finally, Thursday night was the final episode of Comedy Central's Colbert Report, hosted since 2005 by Stephen Colbert, who's leaving to prepare to succeed Letterman next year as host of the Late Show. In honor of Colbert's departure, we thought it might be fun to share a couple of excerpts from his Grammy Award-winning 2010 holiday special, A Colbert Christmas: The Greatest Gift of All. The first features the great Willie Nelson sharing the tale of "The Little Dealer Boy," which I don't ever remember learning as a child, do you? A Colbert Christmas - Elvis Costello/Stephen Colbert Duet from AdamSchlesingerMusic on Vimeo. Good luck to all the moving parties!